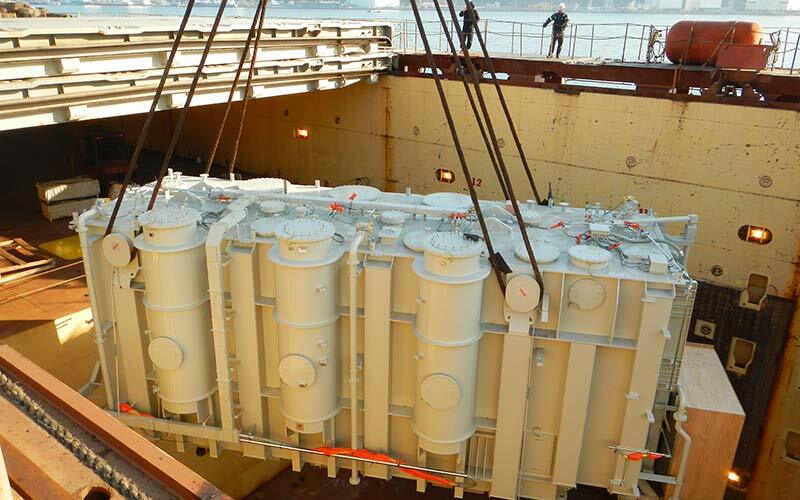 On January 14th, we began a Heavy Lift transport operation of a cargo with a total weight of 1.146 t and a volume of 3.450 m³ that will be executed from Busan (Korea) to Duba (Saudi Arabia). 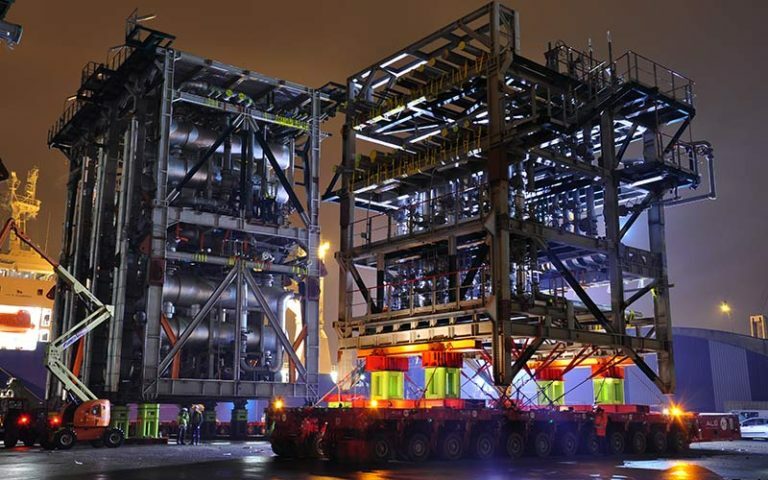 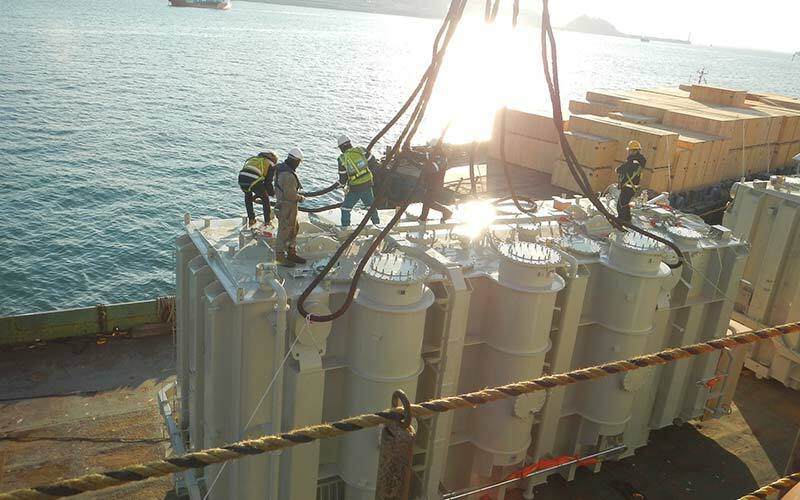 The loading operation of 3 transformers, 2 of 197.5 t, 1 of 306 t plus their corresponding accessories was carried out successfully, although it had to be performed in two different procedures. 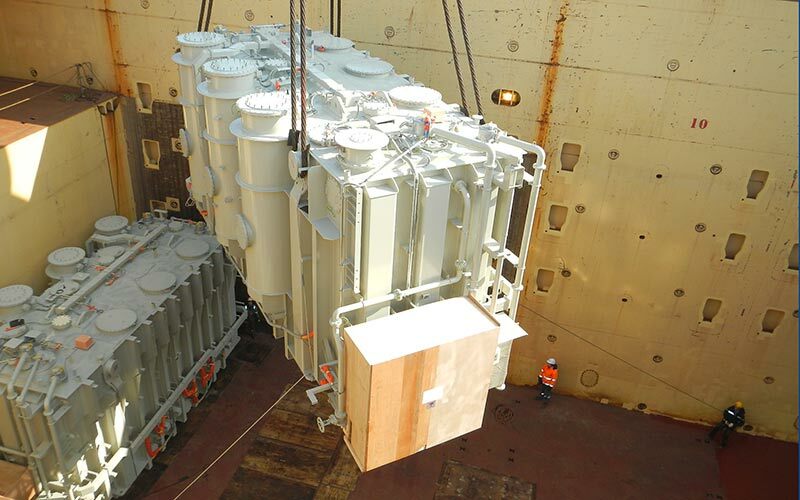 Some accessory pieces were taken in 7 trucks from the supplier’s facilities to the port and then loaded into the ship. 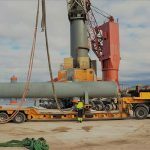 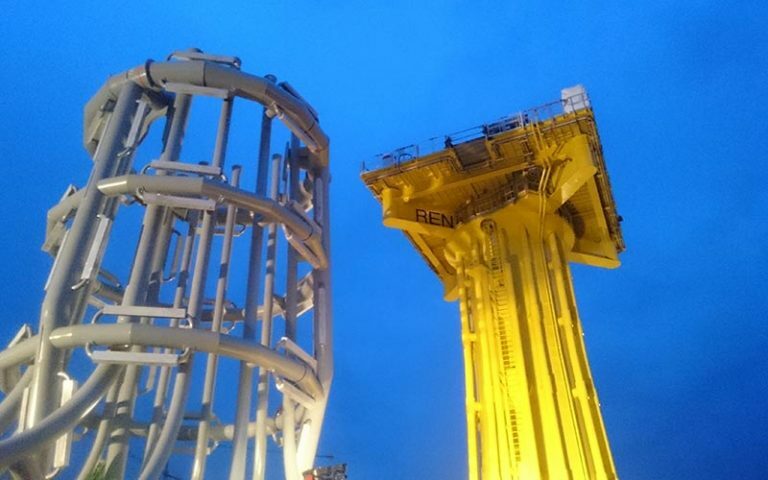 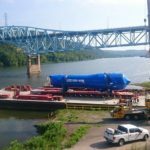 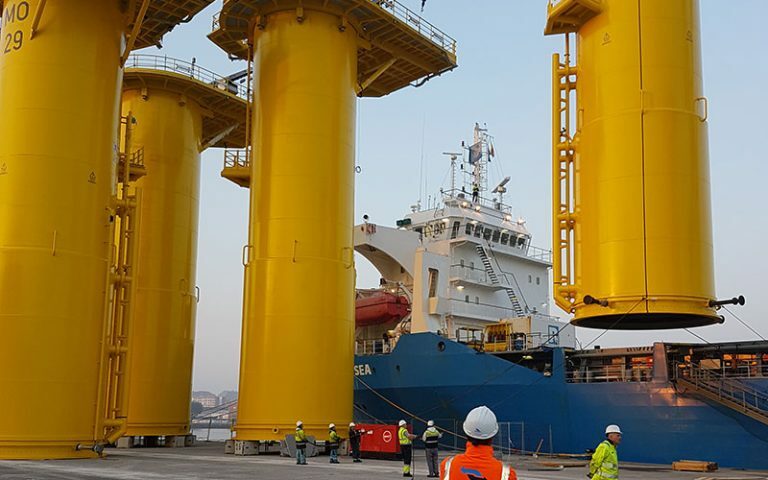 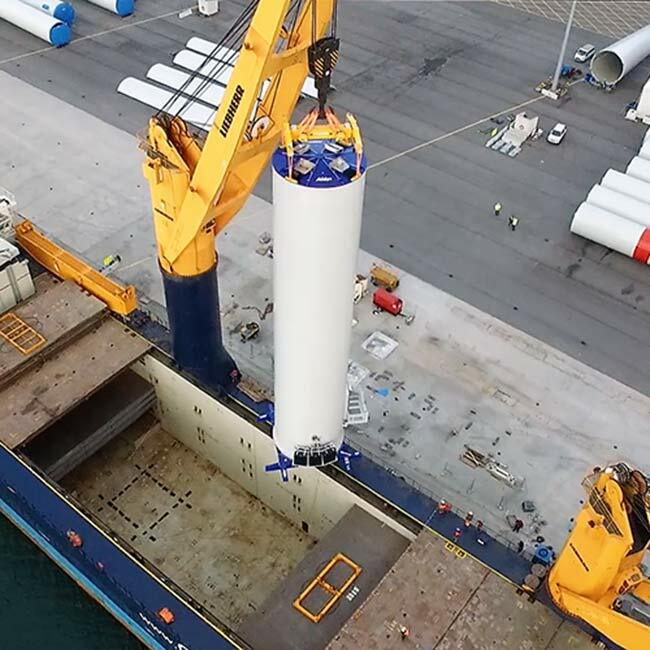 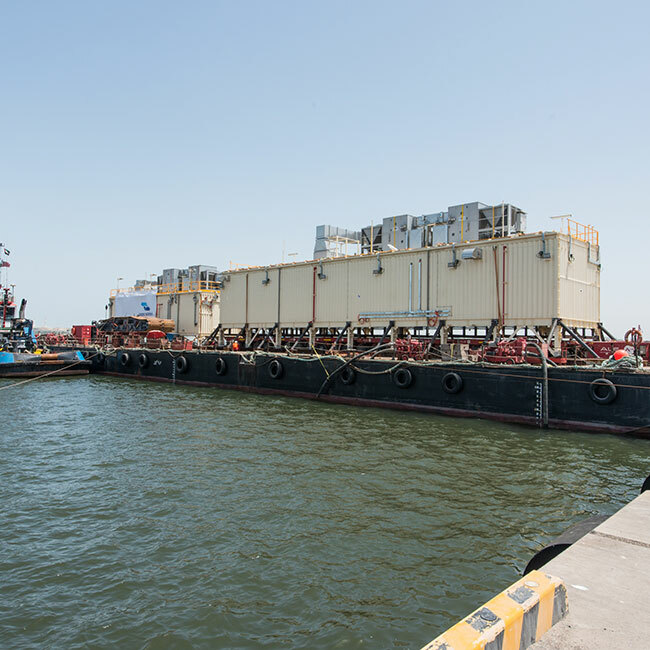 The big pieces of the cargo and the rest of the accessories were transshipped from two barges into the ship by 1 of the 2 vessel’s cranes with a lifting capacity of 700 t/each. 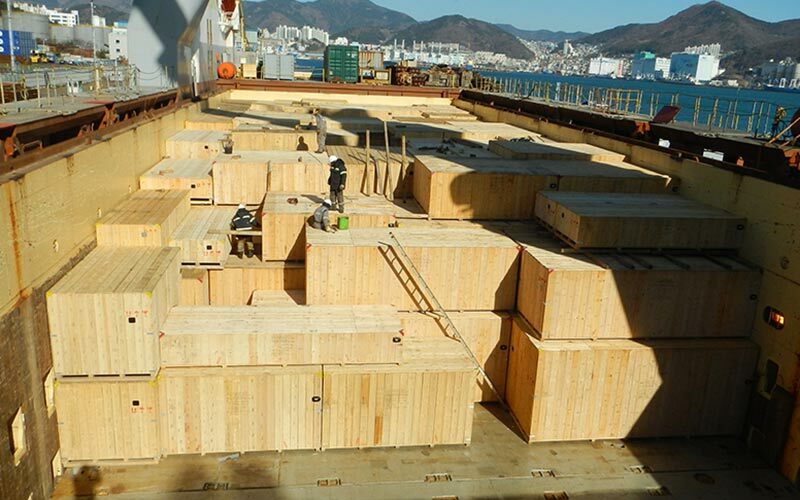 Once all the cargoes were stowed and secured in the ship´s hold, she began its course to its destination. 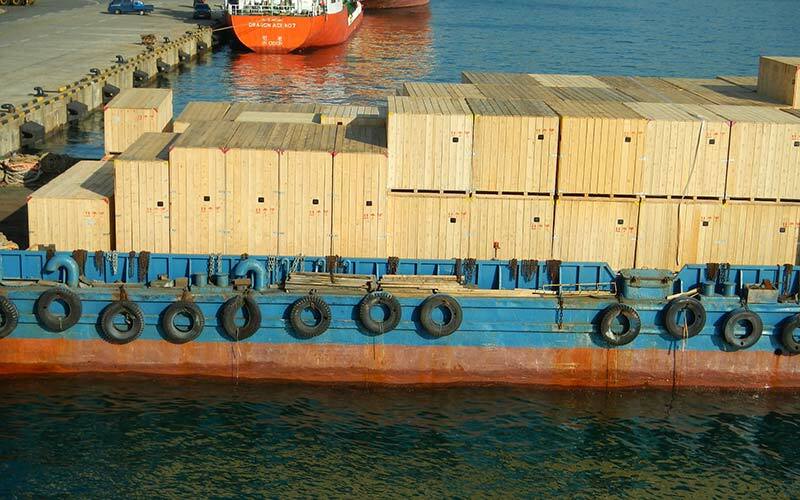 Where she arrived on time and with the cargo safe.